When it comes to getting dressed on the weekends, I'd describe my style as dressed up casual. I tend to gravitate towards wearing comfortable shoes because I'm in heels most of the week for work. I've slowly started to accumulate quite the flats collection & Gary even jokes that he didn't realize he married a spider with how many pairs of shoes I own 😂 I recently posted this look on Instagram and having not blogged about any of my recent outfits I wanted to share this one since it's one that I wear on repeat in the fall and it's my favorite outfit while exploring. This post contains affiliate links. Meaning that any clicks/purchases may result in a small commission at no additional cost to you. Strolling through Beacon Hill on a Sunday when we don't have any plans and don't have to be anywhere is quite possibly my favorite activity, especially in the fall. Beacon Hill residents like to dress up their stoops & it just transports me to a European city! I don't think I realized how warm shearling vests can be. It was in the low 60's this past weekend and with a long sleeve shirt and my shearling vest I was perfectly warm! I rotate the type of long sleeved top I wear underneath the vest, but I like solid colors like a black or burgundy! Shearling Vest old (similar or this one) || Jeans || Yosi Samra flats (c/o) use code "BIANAS20" for 20% off your entire purchase. Before it gets too cold in Boston I've been trying to wear all my flats - especially these Vera Stud Yosi Samra loafers. My sister taught me a trick when I first moved to the city and started walking everywhere - if you can pinch the back of the shoes together the chances of getting a blister goes way down because they just don't rub the back of your foot as badly! These and my other Yosi Samra's pass the pinch test! Fit tip: I'm normally a 7.5, but when designers only do full sizes, I tend to size up and that does the trick! Here are a few more of my favorite flats & short block heels for work and play (i.e. good for lots of walking)! 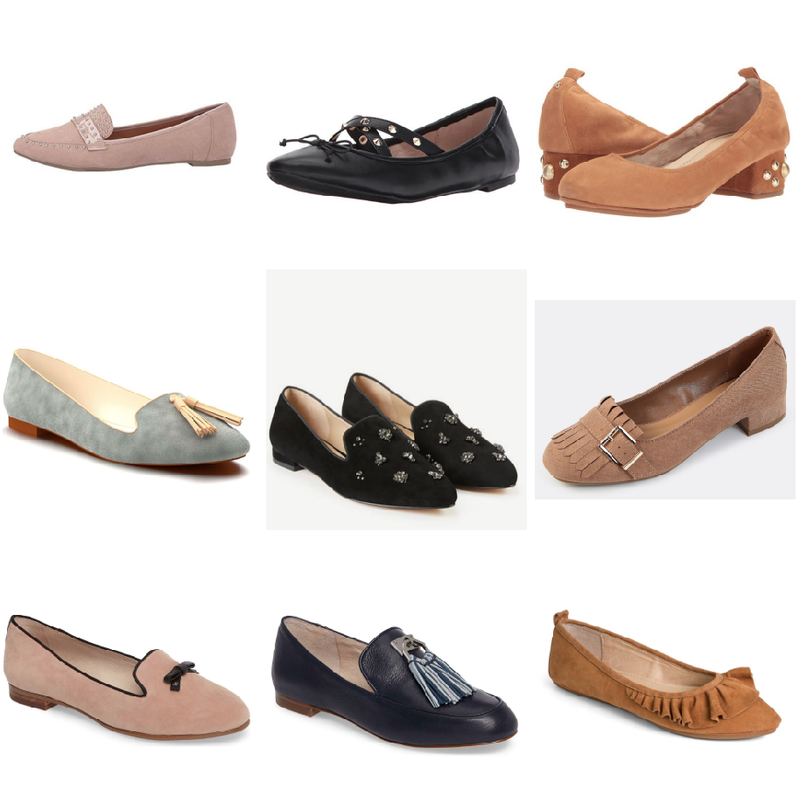 What are your favorite types of flats to wear? Do you like them to be foldable so they travel easy or are you a more sturdy flats fan? These flats are so cute and look super comfortable! Perfect for walking around on the weekends! Love how you paired them with the vest, too. Happy Wednesday, Biana! What a GREAT pair of flats, so so cute!! LOVE the whole Fall fabulous outfit! I only have a few pairs of flats - I feel like I have a hard time finding pairs that are comfortable! I really love the gray ones shown above. And I am laughing at Gary's comment, haha, that is too funny! I love mixing brown and black together! I wore that combo yesterday! And as a teacher, I love a comfy flat that is fashionable! Im a going to try that pinch test as my feet blister soooo easily! Okay, cutest flats ever!! And I'm loving that cozy vest! It looks so warm! This is the perfect fall look! I am obsessed with that shearling vest. I'm going to try your sister's tip next time I buy new flats! Flats are always hard for me, I like a round/wide toe box and I struggle to find them. You look so cute walking around Beacon in yours! This outfit is SO gorgeous and so is the Boston scenery! I LOVE a good pair of flats but because I'm such a shorty my wardrobe is full of heels/heeled booties! Also ADORE this vest on you! I really like flats for this time of year without socks but get such blisters it's not worth it. Handy tip that. Do you wear those little socks inside or not bother. Love this look! Now that I'm usually toting Tatum around I've made sure even more than before that it's usually flats on my feet! I love that outfit! And I also love those ruffled camel colored flats!! look at you cutie cute! those flats are so cute and boston in the fall? may be my fav! i love those circus by sam e flats - right up my alley. i'm totally into flats lately (and wedges) - all about the comfort! love this casual weekend look! Love your entire outfit!! Those flats are super cute and I'm glad that they are comfortable!! That is a major necessity when you live in a big city!! :-) Beacon Hill is gorgeous too. The last time I was there with Chris we stayed in that neighborhood. Thanks for sharing lady and have a great day! I love Yosi Samra flats and have been searching for these in brown, you saved my closet!! Xan't wait to get them! Such gorgeous pictures of you! That’s a great trick to try with flats/no blisters. Definitely going to start doing that before I buy a pair. What a great trick!! I have never heard of that before. Love this casual fall look, perfect for walking around the city. I too wear flats on the weekend and am all about being comfortable on my days off (which is only one day a week). Those flats are so cute. As I need arch support, I can't wear flat flats anymore. Although, I do really like the ja-vie flats which have built in arch suppose. Thanks the tip to pinch the back of the shoes, never would have thought to do that. Brilliant! That vest looks so pretty on you! Such a great look for this time of year! I love the ruffled ones! Sturdy flats and I need some arch support! I love me a good pair of flats and yours are too cute! I recently bought some that look quite similar to yours but haven't worn them just yet. Obsessed with those ruffled flats!! I basically only wear flats to work so I'm always on the hunt for new, comfortable and cute! This outfit is super cute and that vest does look warm! I wear flats to work and normally boots/heels on the weekend if I go out. I am in the search for a pair of flat over the knee boots that have a lace up detail on the back. I found a pair I love on Just Fab but they are sold out and I can't find anything else similar that I love. The search continues! Now that we have two small kids I wear a lot more flats than I used to! Those flats on the bottom right are perfection. Oh this a great look, I think the vest, shoes and bag are what really pull it all together. Flats are my favorite thing to wear, my closet is dominated by them. I even find myself wearing them in cool temps and freezing sometimes! I love them that much. The pinch test is genius, I'll have to remember that! You look so cute! I love that outfit. Such a cute vest! Loving this look. You are just always the cutest thing! I am adoring that vest!!!!! Your whole outfit is so cute and I really love those flats!!! I have never heard of the pinch test, but I will be trying that with any flats I get! I used to wear heels all the time, but the older I get, the less I can stand them all day! More and more flats have creeped into my closet and took center stage. What a great tip! I will have to try that. I love all of these shoes. Lol to Gary's spider comment! Oh I just loved Beacon Hill and thank you so much for taking me there when I visited, so pretty! Those Yosi flats are such a great price point in comparison to foldable ballet flats like Tieks. I LOVE the stud work on them! Loving those pointed toe flats! The details on them add so much to the look! I am glad you are finally sharing another outfit because I love your style. I own a very similar vest and need to wear it soon. 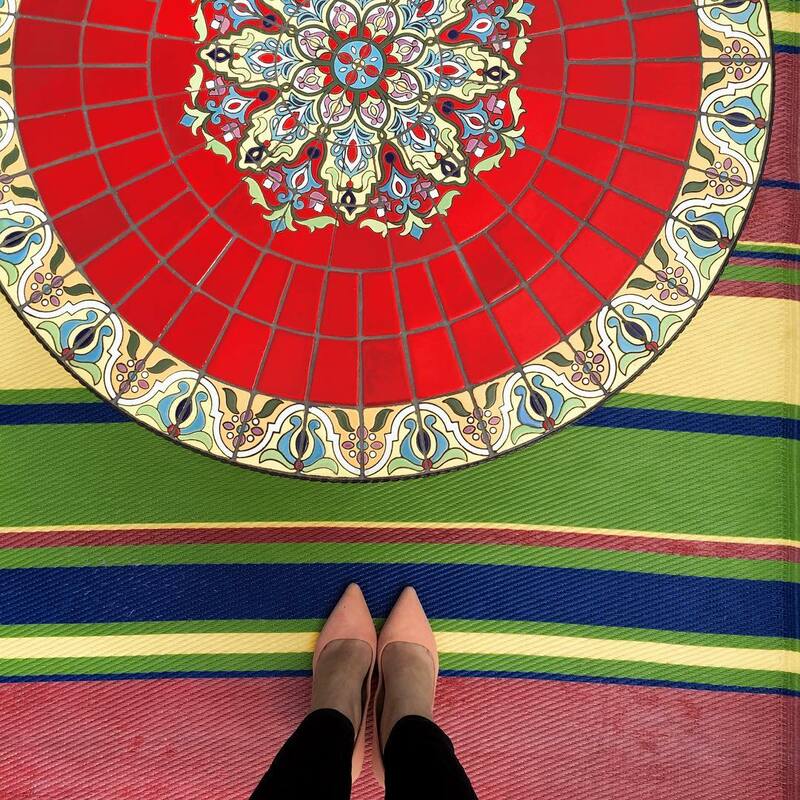 Love your new flats. My favorite flat is a moccasin loafer style like yours. You are tres chic as always, B! Looking great. Welcome by tomorrow and every Thursday to linkup with me, Biana. Miss You <3 Ada. Awesome flats, love your outfit in this post! I love the Boston streets and alleys. Such a nice city and these flats are so cute! I love your loafer picks, girlfriend! And you are rocking this shearling vest! These are the cutest flats!! Love that trick about pinching the back to see if they'll cause blisters! You look absolutely gorgeous, girl! You always do, but there's something different going on. Did you do something with your hair? It looks even more luminous and shiny, absolutely beautiful and I love the length and cut on you. I'm also loving this outfit. I love when you share outfit posts because you have such great style and such an amazing shoe collection and the ones you're wearing here are so cute! I fell in love the moment I saw them on your IG! 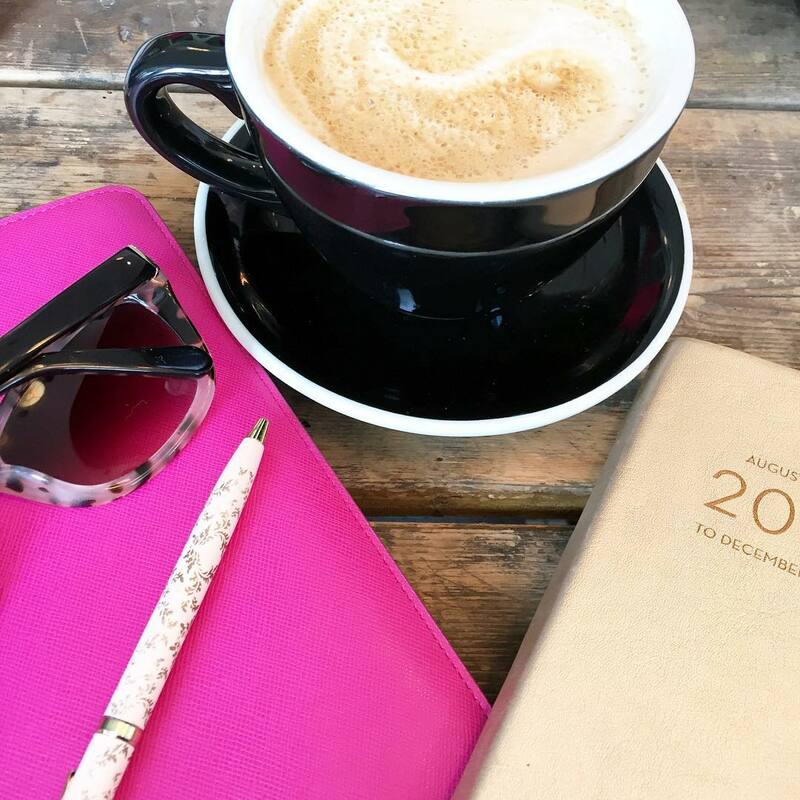 Thanks for sharing, gorgeous, and I hope you have the best weekend ahead! You're looking absolutely stunning dear! Love the vest, cute and look really comfy. Your photos are lovely as always too. I totally get why you love these flats! They are so freaking cute!! I love the detail on them. That vest is adorable as well - this is the perfect fall outfit!